November 18 - Gibraltar will make their historic debut on the international football stage tomorrow as the newly appointed UEFA member takes on Slovakia in its first ever international match. With a population of less than 30,000, the British Overseas Territory is the smallest member of UEFA – tinier even than San Marino which has a population of around 32,000 – with national head coach, Allen Bula having a pool of around 600 players to chose from. Gibraltar's home ground, the 5,000 capacity Victoria Stadium, does not meet UEFA standards to hold competitive fixtures. 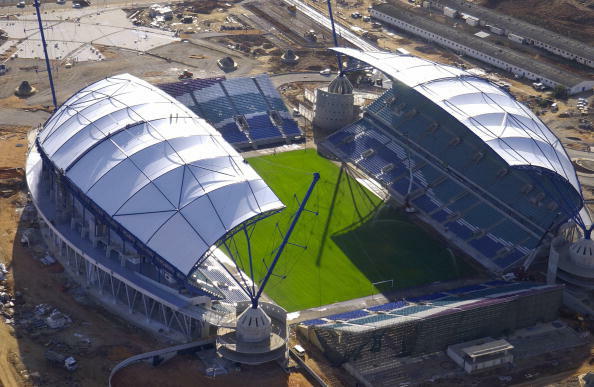 Plans to build a new 10,000-seater stadium are underway but until it is built, which is estimated to be around 2016, the national team will have to play their "home" games at the Estadio Algarve in Portugal, 150 miles away from the territory. With a capacity of 30,000, this stadium could hold the entire population of Gibraltar. 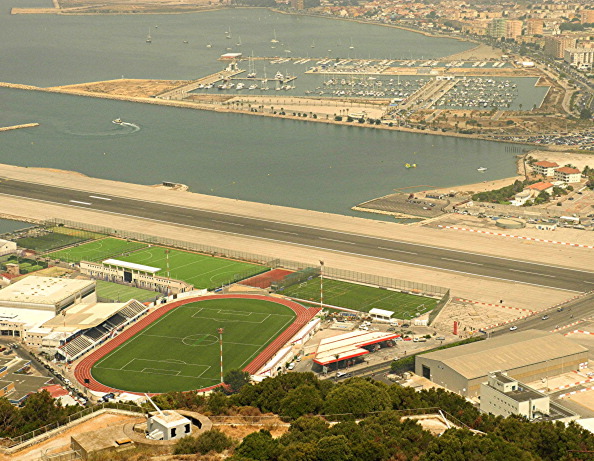 "We can play international friendlies in Gibraltar but UEFA rules mean we cannot play senior competitive games in a Category Two stadium, which the Victoria Stadium is," said President of the Gibraltar Football Association, Desmond Reoch. "We will be playing our qualifying games for Euro 2016 in Portugal so we decided to hold Tuesday's friendly there as a sort of dress rehearsal - it gives us the chance to get used to it and maybe spring a few surprises next year." A bigger concern for manager Bula will be the task of assembling his 23-man squad from the smallest player pool in Europe. Players from the Gibraltar Premier Division, the top national league, are all amateurs and have to share a single pitch with everyone from junior to senior level. "I have a few professionals, a few semi-pros and the rest are amateurs," said Bula. "It tends to be a bit of a headache getting those groups into the same way of thinking but there is nothing I can do there." 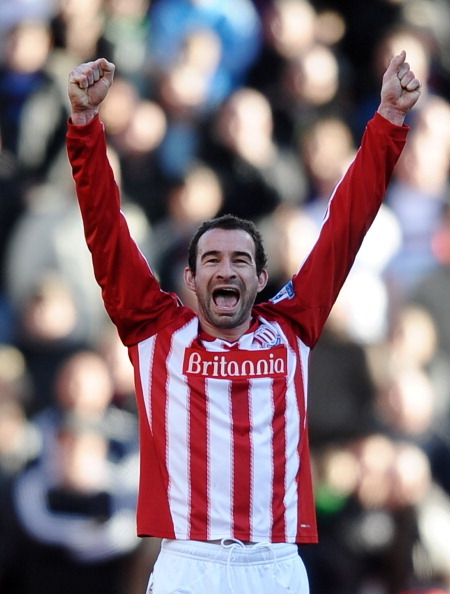 Standing out amongst the few professionals and semi-professionals in the team is former Southampton, Stoke and Sunderland defender Danny Higginbotham, who now plays his football at Chester who play in the Football Conference, the fifth tier of English football. The 34-year-old, who is eligible to play due to his Grandmother's links to the British territory, is also nephew to head coach Bula who took to Twitter to recruit the veteran for his national squad. "I had only been on Twitter for a couple of months and Allen sent me a message asking to get in contact with me and it went from there," said Higginbotham, who was born in Manchester and began his career at Manchester United. "I'll be the first to admit that I don't think playing for England was ever going to happen, because of the quality of players in my position. "The simple fact was I was not good enough, so I never gave it a second thought. "I never for one minute thought I would be playing international football at the age of 34, so this is an exciting challenge." Higginbotham, who was played over 300 times in England's Premier League, will need to put his extensive experience to good use tomorrow knowing that he will more than likely be one of the busiest players on the pitch. "We are the underdogs, we know that, and people will be expecting us to get turned over in every game we play," he added. "But it is all about having the experience and developing the youngsters coming though and trying to get this team put on the map. "A lot of the players don't know what to expect. "It's a new thing for everybody involved: that's the coach, management, players. "We want to give a good account of ourselves and make sure we stand up and be counted. "In the end, it's to enjoy the experience".